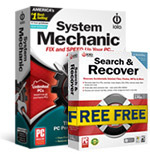 Fix and speed up your PC with the world's best-selling PC tune-up utility software. Automatically repair system slowdowns, crashes, and freezes. Say "Goodbye" to PC headaches forever!